With age, or with certain diseases of the eye, the vitreous gel begins to contract. When it does so, it starts to pull away from the retina, which lines the back wall of the eye. This is called Posterior Vitreous Detachment (PVD). 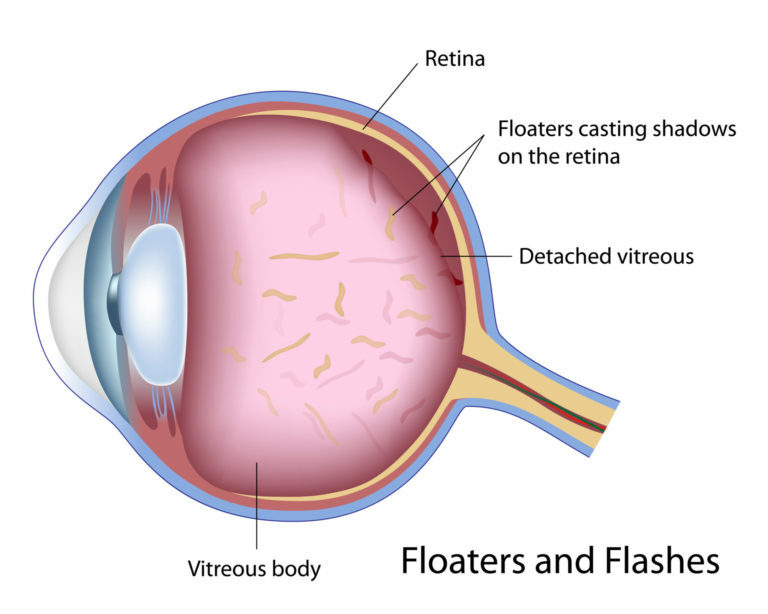 During this process, certain particles or “floaters” as well as flashes of light may become visible. These can be rather annoying at first, but they are not harmful. While these don’t actually go away, most people become used to them, and they are usually not very bothersome after a few months. Please refer to the tab below for a map and directions to each office.